Hello to All! Just signed up to Escapees and this is my first post. Looking forward to learning from all the experts on here. I would really like to retire in 5 years at 65. I could work until 66 1/2 and get my full retirement. 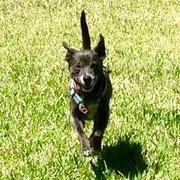 I have been researching full timing in an RV for about a year now. I really like the idea of having the capability of being able to move around. I am thinking that I won't "travel" that much but rather find a location and stay a month or two then go to the next location. Will definitely follow the warmth for winters. I lived in Florida for 6 years so leaning on going back during the winter months but that's not a definite, can look at other warm locations. I now live in upstate NY as of earlier this year due to a job transfer. I just can't decide in what or if I can really afford to do it. Here is what I am thinking at this point in time: Buying a used class a gas motor home, in the 35' range. My current vehicle is towable on a dolly. I really don't want to buy a big truck to pull something. I realize that with a truck and either a travel trailer or 5th wheel there would only be 1 motor, transmission etc. for repairs. I am by myself. 1) Will be debt free at retirement. This includes having either a toad or tow vehicle paid off by then and will pay cash for whatever RV I decide to get. 2) Looking at spending up to $40,000 on the used motor home. 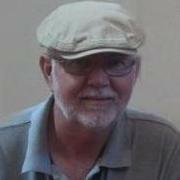 3) Will have approximately $2,000.00 a month for social security coming in. 4) Will have approximately an additional $25,000.00 in savings after purchasing the RV. 5) I am NOT handy repairing anything mechanical ie; engines. 1) Is it bad for a motor home to sit for a month or two? 2) Is living full time in a motor home doable on $2,000.00 a month? Please remember I am alone, no other person or pets to consider. I don't have a lavish lifestyle, don't eat out very often, stay pretty much at home now. I don't want to get into it only to discover in a year or so I can't afford it. Thank you for all your expertise advise in advance. Welcome to the Escapees Forum!! If you have not read it, this topic has a lot of information that may be relevant to your situation and questions. What you spend now for food and other essentials may not change a lot without a concerted effort to change your personal habitats. Costs for items like phone, internet and TV service are controllable but may require different services than what you have now. 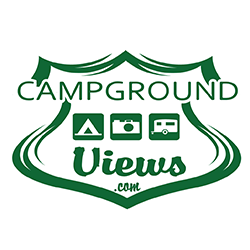 Camping fees are controllable and have a wide range from zero up to more than several hundred dollars a month depending on location and the amenities provided. Fuel costs are controllable, but in my experience it is rather difficult to actually travel and see the country in an RV without fuel. In my opinion, only you can determine whether you will be satisfied with the lifestyle that you choose to stay within your means. One question. Is the $2000/month from Social Security after or before any Medicare Part B, D, etc. or Medicare supplement payments. My impression is that most on this forum seem to agree that the Medicare Advantage Plans are not very well suited to fulltime RVers that move around. Again, Welcome to the Escapees Forum!! Is there some way to get it to $3K a month - for one person that should be a very doable amount. And in 5 years, who knows what will be needed. Just try to get the amount up, whether by work camping, etc., so that you have a cushion. Repairs can quickly add up and it isn't IF you will need repairs, but WHEN. To Barbaraok: SSI is based on your income. I am sure my income will go up a little but not enough to get it to $3,000 a month. Are you saying it is possible on the $2,000 a month or $3,000? The $3,000 would obviously be better. Everything changes , always ... let alone in 5 years time . Currently , with just a little foresight / planning , 2 grand a month is doable . Specially for a single man with a 25 grand cushion and no 'payments' . Check out Interstellar Orchard Blog. Becky is also an Escapees member and posts on Discussions. Go to the SKPS Magazine to find articles she’s contributed. Very smart young soloer with good ideas. She’s also on YouTube. I agree with trailertraveler. You're spending habits won't change dramatically without concerted effort so looking at your current budget on expenditures you will be "taking with you" (ie., food, clothing, entertainment, etc.) should put you in the ballpark. I also agree that $2k/month is QUITE doable... with your "cushion" in place that is. $2k may not leave you with much of a savings budget on a monthly basis. A good full-timer strategy is to contribute a portion of their monthly in to a "maintanence/repair/replace/incidents" account. Since you already have that set aside you're one step ahead of the game. To Yarome: I may get a vehicle that is towable 4 down if I decide to do this. It would be purchased now while I am still working so it would be paid off before I retire. Just want to be fully informed before I make a decision. A vehicle that can be towed 4 down is a big advantage, hitching and unhitching is easier than hooking up a tow dolly or trailer and strapping the car to it. Plus you don't have to worry about finding room to store the trailer or dolly at a campsite. 4 wheel drive is a plus to explore the back country roads and trails. It doesnt have to be extreme, something like a small SUV with a transfer case that can be put into neutral or a manual transmission can be towed 4 down in most cases. Fulltiming can be as frugal or expensive as you make it. You may not be able to afford $50 a night luxury RV sites every night or travel several hundred miles every day, but that's being in vacation mode, not fulltiming. There are many ways to stretch the budget without having to camp host or workcamp, unless that's something you'd like to try. When you get tired of the East Coast, the desert southwest offers (generally) warm temperatures and low cost or free camping during the winter months while the rest of the country is snowed in. Then follow the weather the rest of the year. Like you said, stay for a week (or a month) in one spot and get reduced camping rates while you explore the local area. Don't forget you won't be sightseeing every day, you'll still have to do chores like housekeeping, food shopping and laundry, as well as leave time for other pursuits and hobbies. 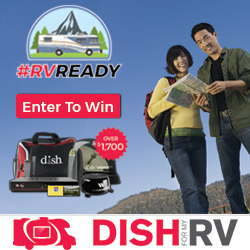 Check out cheaprvliving.com and their YouTube videos. While that style of fulltiming isn't everyone's cup of tea, they show how people are successfully fulltiming on extremely small budgets, some as low as $500 a month. And no, it's not stealth camping in a city and hoping you won't be rousted in the middle of the night. Just keep in mind the occasional expenses that pop up and can easily wreak a tight budget. This year we bought tires for camper and pickup, had to replace a windshield, had to do some other repairs - one of them a major one. You may get by for a few years with nothing like this but over time, these budget busters are sure to come. When they do, a razor thin budget will be blown away overnight. Thank you for all your responses. I am also considering a truck and probably a 5th wheel. If the truck and 5vr is what I decide I would buy the truck now in order to pay it off while I am still working. With this combination I would only have one motor and transmission to maintain and worry about. I certainly wouldn't mind being a camp host or workamping to reduce my camping fees. At least you'll only have one drivetrain to maintain. I highly suggest this route. Two takes just as little effort . Maybe some folks don't mind not having options . Larry, why not try and see if you can live on $2K a month (excluding mortgage payments). That will give you an idea of what is needed because your basic style of living won't change. Maybe a little less eating out than when you are working, but you will be shopping in new areas, so cost for groceries often go up. We put together a web page on Budget Considerations that might help you identify some things to think about/check out. But possibly more cash as engine and/or transmission repairs may be more costly than repairs to trailers. Also, in my experience, insurance for motorized vehicles is considerably more than that for a trailer because of the requirements for liability coverage on all motorized vehicles. There may also be differences in registration fees for motorized and non-motorized vehicles. "With this combination I would only have one motor and transmission to maintain and worry about." Yes, but do factor in the reality that the 5th wheel will require its own share of maintenance and repair expenses. A 5th wheel or TT may not have a 'motor', but it has plenty of other components that need regular servicing and/or repair, and, often, replacement, e.g., tires. That may be the case . All I can say is that in almost 8 years of full timing , I never once wanted a 5th wheel trailer and a truck . We've been happy with our motor home and Jeep . And I definitely like having my bikes along . Motor homes and toads have tires that require replacement too. Most RVs have pretty much the same appliances, so I would doubt there is a huge difference in the maintenance and potential repairs. Age is a factor in replacement and repair requirements for RV appliances. I am sure that a lot of 5th wheel owners say the same thing about a motorhome. Having a 5th wheel and trailer or even a travel trailer does not prevent taking bikes along. We do it all the time. In my opinion, the choice of RV type is mostly one of personal preference. All of them have their devotees. 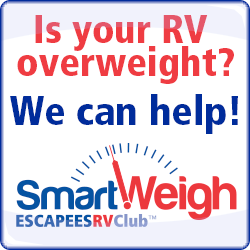 the choice of RV type is mostly one of personal preference. All of them have their devotees. Why not ask the ones who are really doing it. It really "is" a personal preference issue and dependent, to some degree, on the type of camping and travel you plan on doing. Personally, I kind of worked my way backwards. I started with a class A and toad, went through a couple of 5ers trying to find a better "fit", and finally settled in on a 25' TT about 5 years ago. The best "fit" for my chosen lifestyle since I started out and couldn't be happier. Thousand Trails zone pass ( with or without trails collection .) Many using it in Florida even during high season. Escapee Coop parks with great rates and ERPU option too in Rainbow system. The Rio Grande Valley has a glut of RV parks and deals abound.Could live there FT for $209 month if money runs out. Give it a shot.... Lots of mostly favorable responses here. Just signed up to Escapees and this is my first post. 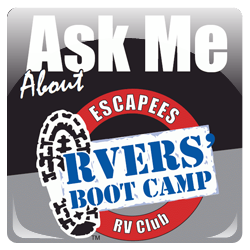 Welcome to the Escapees RV Club and to the Escapee forums! We are very happy that you have joined us! Looking at spending up to $40,000 on the used motor home. I would consider that to be a bit to the low side if you don't want to do much maintenance. I suggest that if you have not done so, spend some time window shopping just to get a feel for what it can cost. We lived for 12 years in a gasoline-powered motorhome (Ford F53 chassis). Keep in mind that not only do older chassis require more care but so too does the RV side of things. Appliances typically have a lifespan of 10 to 15 years when used constantly so with an older RV of any type you can expect to have much more in maintenance time and cost as the RV ages. We bought our RV new and owned it for 14 years. During that time I replaced both the water heater and the refrigerator due to excessive cost to repair them. No... While we lived in our motorhome we spent much of the time as RV volunteers in parks, national parks, and national wildlife refuges. We usually stopped for from 1 to 4 months at a location and it never caused a single problem. What you do need to do is to add a fuel stabilizer and fill the tank completely just before you park it. Then just leave it sit and do not start it at all until a few days prior to travel again. It is a good idea to exercise the onboard generator if the RV has one. 2) Is living full time in a motor home doable on $2,000.00 a month? It can be done but as others have said, your spending habits will not likely change much so take a hard look at what you are spending now. Keep in mind that there are different approaches to the lifestyle and no question you could survive on that amount but you really need to manage in order to enjoy life as well. There are many things which can be done to improve the financial health and we found that we loved the RV volunteer lifestyle so much that we still do it now that we have a house again and are back to part-time. Check out some of our experiences that we had while fulltime by visiting this link. 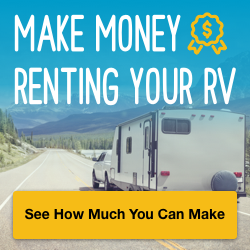 We found that we were able to add money to our savings while living on volunteer RV sites.In addition, the best column on RV living expenses is one that you can read here which was published a long time back in Motorhome Magazine.